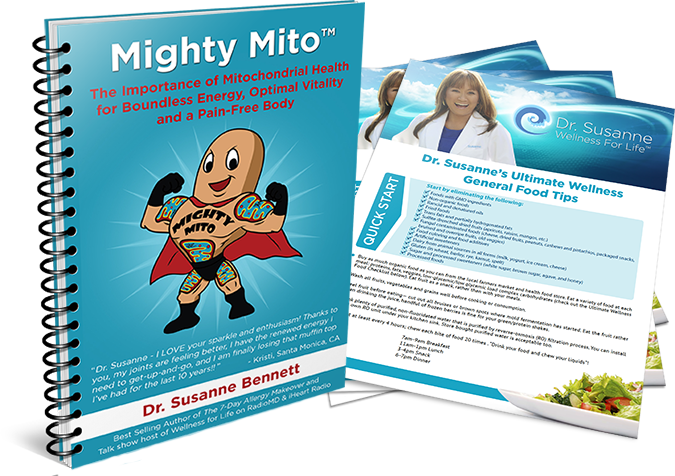 "The Mighty Mito™ Report + The Ultimate Wellness Food Checklist"
Protecting your mitochondria will increase your energy, improve your health and fight disease. The Ultimate Wellness food checklist will help you will help you reduce fatigue, pain and inflammation. Yes! Send me the FREE report bundle! "The Mighty Mito™ + The Ultimate Wellness Food Checklist"
Simply enter your name and email address below to have the bundle sent to your inbox immediately. Send me the FREE report bundle! 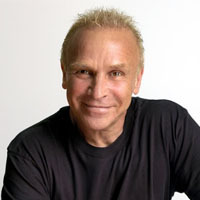 "I'm a huge fan of Dr. Susanne Bennett. She has done it again with her new book the Mighty Mito, readers will be thrilled with the practical, easy-to-follow road map for increasing their energy and keeping it high through the day. She leads you on a journey to create more energetic life. 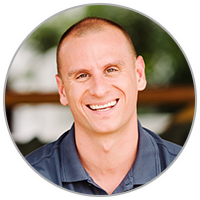 Mighty Mito is packed with creative, unique, healthy, and lasting methods to maximize the health of your mitochondria and boosting your energy. I think this will be the book that gives the mitochondria the place it deserves in the publics' minds." "Low energy levels become a real drag! 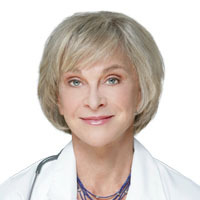 In her new book Mighty Mito, Dr. Susanne Bennett provides a practical, easy-to-apply plan that optimizes energy levels to create the vibrant, radiant life you deserve. A must-read, especially if you often crash with that running-on-empty feeling." 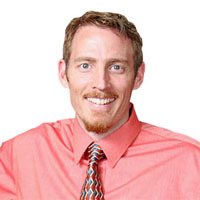 "Dr. Bennett has put forth an amazing book on regaining vitality, energy, and health. She sheds light on a topic that needs more attention, but until now has been too complex for most people to understand. Her new book bridges that gap of knowledge and complexity into easy to understand points and action steps people can take to regain health and wellness. A must read! 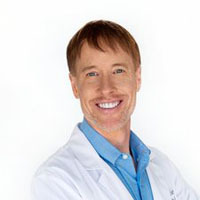 - Dr. Peter Osborne, Best selling author of No Grain No Pain"
"Dr. Susanne Bennett nails it--increasing your energy isn't a fantasy, it's about improving your mitochondrial health. In a thoroughly researched, insightful, and comprehensive program, she explains step by step how to have more energy than you've had in years!" 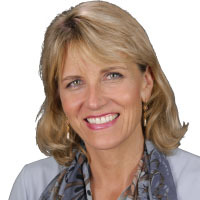 "Dr. Susanne's Mighty Mito book and program is the solution whether you are someone who struggles with chronic pain or if you want to optimize your athletic performance!"